Get real life advice by a genuine psychic, life coach and white witch with 30 years experience. Not just a fortune teller ... get advice on how to REALLY change your future. Create the life you want today ! 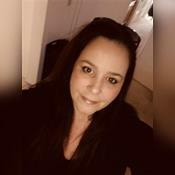 Marissa is a lifetime student of the esoteric arts and is a witch with extensive metaphysical knowledge who provides psychic readings, astrology readings, dream interpretation, tarot readings, Magick advice and life coaching for over 20 years. Marissa will use all the gifts and magickal tools at her disposal to help shed light into the shadows of the future to help predict the correct path for you and the best way to attain the life you really want ! Sin City Witch has been a user of Keen since 2001. Getting Life Questions advice from Sin City Witch through www.keen.com is safe, secure and confidential.